204 Arlington Avenue Anderson, SC. | MLS# 20210020 | Lake Hartwell real estate homes and lots for sale. Real estate agents offering expert knowledge of Lake Hartwell. Licensed in both South Carolina and Georgia to sell Lake Hartwell Property. Anderson, Clemson, Lavonia, Hartwell, Seneca, Toccoa, Martin. Great investment property - excellent tenants - nice brick home. Great Rental History. Currently rent $485 rent roll and rental history available upon request. 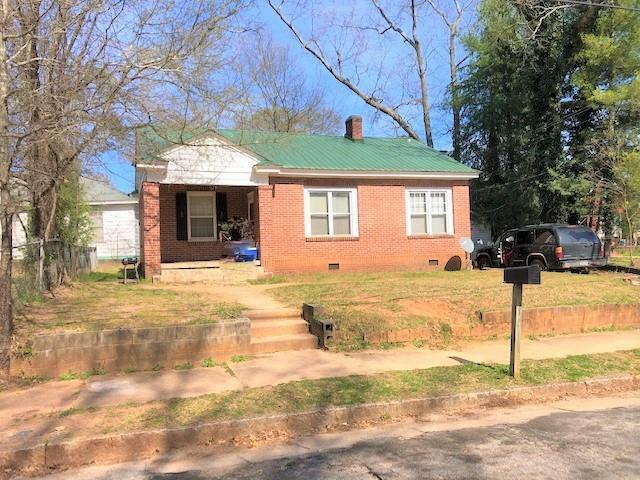 Brick single family home, hardwood floors, large rooms, walk-in closets, nice kitchen, washer /dryer connections, all electric central heat and air. Significant recent improvements.